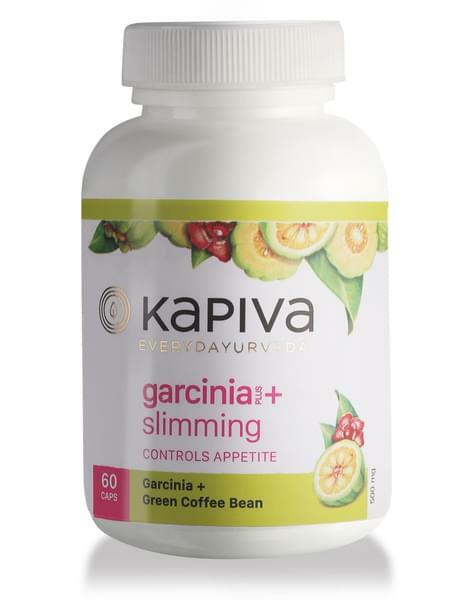 Kapiva’s Garcinia and Green Coffee Beans Capsule is manufactured using a proven formula and provides incredible metabolism benefits to the patients. Garcinia and Green coffee beans are the major components of the product. Garcinia is a great ingredient for fat control and efficient metabolism. Green coffee beans are helpful in the weight loss process. Made from the perfect mixture of garcinia and green coffee beans, this capsule blocks the fat production, and increases your metabolism. Benefits of Garcinia: • It speeds up the process of metabolism. • Prevents calories from being stored as fat, and speed up the weight loss process. • Stress and anxiety are two driving factors in weight gain. garcinia reduces the stress and anxiety levels significantly. Benefits of green coffee beans: • Reduces the amount of chemical chlorogenic acid. • Green coffee beans burns the fats faster, and speed up the weight loss process. • These beans can boost your metabolism, stop the new fat production.